We are so excited to welcome your child into the Catholic faith at St. Joseph! Through baptism, we receive new life in Jesus Christ and begin our journey as Christians. 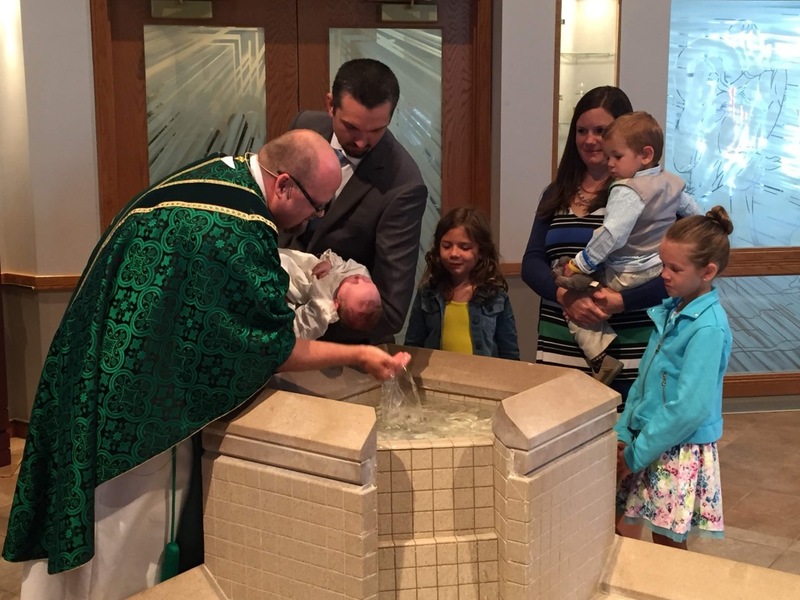 We joyfully celebrate baptisms during most of our weekend Masses. If you have an infant in need of Baptism, please send us a message with your contact information or call the parish office at 262-662-2832 to discuss scheduling a baptism.